Have you ever dealt with a foreign check? Until about two weeks ago, I had never received one. But then it happened… I opened my mailbox to fund a check from the United Kingdom for some consulting work that I had done. It was payable to me, but it was in pounds sterling (GBP) as opposed the usual dollar-denominated checks that I deal with. Unsure of how to handle it, I stuffed it into my pocket until my next trip to the bank. Banking Deal: Earn 1.85% APY on an FDIC-insured money market account at CIT Bank. About a week later, I found myself near our local Bank of America branch, so I stopped in. They had just opened for the day, and I was unsure of how to proceed, so I asked one of the “Personal Bankers” that was milling about near the front door. He responded that I should just head over to the counter and they’d take care of me. When I approached the teller, I had several questions… How much would it cost for them to process a foreign check? How long would they hold the funds? And how much (in terms of USD) was my check worth? I was pleasantly surprised with her answers to the first two questions, and only mildly disappointed with the last one. As it turns out, there’s no fee associated with depositing a foreign check at Bank of America – or at least not with our account type. Also, there was no hold placed on my deposit, so the funds were available immediately. This was a bit surprising, as I’ve heard horror stories about foreign checks being held for weeks and weeks. Regardless, I was happy to know that I wouldn’t have to wait. As for that final question, I was told that my £500 check was worth right around $800 based on the prevailing conversion rate. Having already checked the Google currency converter, I had been expecting closer to $820. Oh well, it’s not like I had a boatload of options, so I just went ahead with the deposit. I’m still not sure if the Google currency converter was using stale data, or if Bank of America was lowballing the conversion rate to make up for the lack of fees. Either way, I was in and out of the bank in about three minutes and I no longer have that check burning a hole in my pocket. If you have any tips for handling foreign checks, I’d love to hear them. I deposit a check that my fathers insurance from mexico gave me .bank of america keept it for over 16 weeks at the end told me the couldnt get them to collect …returned an copy of my check i been trying to get them to give my original ..any comments that can help ? I need to cash a check from India (INR) into my Bank of America. Is that possible? If not could I open an account in an International Bank and deposit to that bank? I will doing this for business fairly regularly. I think India has funny banking rules. I received a check from a Canadian bank for $1,373.13 the check was in U.S currency but my bank bbva compass said they still needed to send it to collections. It’s been 3 weeks and I still haven’t been credited. Why can’t they just release half of the funds to me ? I’ve learned that there is a ‘bank to bank’ exchange rate and a ‘not bank to bank’ exchange rate for foreign currency. The former is what you see when you google the exchange rate and it is what you’d use if you were converting large sums of currency (millions or more) whereas the latter is for smaller sums and is less generous than the published rates. This might account for your lost $20. I will be receiving a check written on a Brazilian Bank. How do I cash it here in the USA? Can I take it to my local bank? NWFCU? question…I have a bank of America account and a westpac account. I’m planning on moving to Australia within 2017 and I was wondering, if I deposit American money into the atm do I get charged a fee and does the American dollar convert into Australian dollars and does that mean you’re depositing more money into the account? Hello Ralph. I worked at BofA Fgn check processing for over 12 years. At the end of 2014 the whole unit was relocated out of State and no longer has a direct CS department. At the time of deposit the teller should have offered to send this item on Collections. The clearing bank BofA uses for Mexico will not clear an item that states “no negociable” on it. Because the clearing bank will not clear the item for BofA you are not able to receive immediate credit. If the item is in Pesos and did not have “no negociable” or another stamp on it and based on your account the teller would have been able to convert the item and give you immediate credit. It would then have been sent to the clearing bank for clearing. Although you received immediate credit that does not mean the item has cleared and could return at a later date. Which at that time your account would be charged back at the current Sell rate plus any fees. In your case because this item could not be processed for immediate clearing the teller should have explained that it could be sent on Collections and explain the current fees. Because of the fees the value of the item must be worth at least USD $200. What Collections does is send it directly to the bank it’s drawn in for clearing. Once the Foreign bank sends the funds you will receive a credit for the item minus the BofA collection fee and any fees the Foreign bank charges would be deducted as well. Also if the item came back unpaid you would still be responsible for the fees. Typically a collection item takes 4-8 weeks, but sometimes longer. It depends on how long the Foreign bank takes to process the item. The collection fee cover the cost of sending (usually FedEx) the item to the bank as well as multiple follow ups if the credit is not received. Best option in this case would be a wire transfer or a check issued in US Funds payable thru a US Bank. Lots of info, but there are a lot of rules and steps in processing a Fireign check. Very few banks will process Foreign checks and each bank will have their own way as to how they do so. Hope this helps! Trying to deposit a check from Mexico into my Bank of America account. They are totally useless. They sat on the checks for 90 days and then shredded them. Gave them copies of originals. The checks have term “no negociable” on them. To B of A, that says they cannot accept them. Research on the web says it just means that we cannot assign the check to someone else. They must go into my account only. They now claim MAYBE they can put them for collections, but there will be a fee. Nowhere on their website can I find out what that fee is. Any suggestions? I cash foreign checks once a year into my bank of america account, They charge from 3% to 5% ” A BUILT IN FEE” This rate is included and no other fees are charged. The federal reserve probably gets some of that fee also… AVOID WELLS FARGO! I have a top tier account with wells fargo and they will charge $75 to cash any foreign check! They also have a 2% to 3% fee included in their exchange rate. Lower than bank of america but still why have a $75 fee!? Chase charges $45 and the hold is 2-6 weeks. My Canadian client was issuing bank drafts from an American bank, which GREATLY speeds up the process if that’s an option for you. Unfortunately for me, my client stopped doing this because of postal losses of checks, but I am currently negotiating for US bank drafts by certified mail, which hopefully will be less than $45. *Groan* I thought NAFTA was supposed to fix this crap. I have a US refund check from green dot Money pack company,CA. I am on a business trip in US and not sure how to encash this check in US? Remember to keep track of the fees charged. If you are self-employed, you can deduct any bank fees from your self-employment income. Not much comfort, I know, but it’s something. My checks are usually in the thousands going into a business account. I just spoke with them the other day and they tell me it\\\’s because they have to wait for their money, which kind of confuses me as I was of the understanding it was MY money. My checks are usually in the thousands going into a business account. I just spoke with them the other day and they tell me it’s because they have to wait for their money, which kind of confuses me as I was of the understanding it was MY money. I just had the same problem with Wells Fargo. But they were going to charge me 75.00 up front for this check to clear but, in 4 to 10 weeks for them to put into my account. Were your checks under 200.00 or more? I have been trying to find a way to deposit my foreign checks that are made out in USA dollars. Wells Fargo charges me $5 for each check I deposit even though it’s in US funds, they charge me $15 for a wire transfer, also in US funds. There’s got to be a bank out there that doesn’t charge you to take your money; it’s starting to get very expensive as I get three to four of these a month. I just deposited two Canadian checks in my US bank account. The exchange rate that day was .97774 The $1580 check cleared for $1486.00 and the $5,000 check cleared for $4705.00. I couldn’t believe it. I called the bank to disagree with the rate they gave me .94010 and they explained that check processing rates are lower than cash processing rates. By the way they won’t take a Canadian dollar at my bank. That’s approx. $390.00 difference. They appeased me with an increase of $13.00 total in both accounts. I began to read about the difference between US Banks and Canadian banks and learned that the Federal Reserve now has a VERY HIGH control over check clearing in the USA and in Canada it is LOW. So it would seem that a chunk of money is being taken from either the Feds or the banks. My guess is the Feds. I too feel ripped off and will be looking around for a better situation in the USA. Published rates are generally between banks and represents transactions over $1,000,000. I doubt you would get that rate anywhere. Oh, and most major banks should be able to accept foreign checks denominated in their home currency for immediate credit. I just deposited 2 checks from a Canadian Bank in Canadian dollars into my account. Stupid me didn’t check the exchange rate at the time, and when they processed my checks at the local branch, they gave me a exchange rate of $0.9632 for each CAD. The market rate was around $1.055. A total rip off, I understand they need to make a profit, but they made almost $700 in profit from my deposit. I’ve been a customer for 14 years but i’ll be closing my account soon. CAN I DEPOSIT A INDIAN CHAQUE IN OUR USA BANK ACCOUNT IN SAME NAME. IS IT LEGAL? IN INDIA MY ACCOUNT IS SAVING ACCOUNT NOT NRI/NRO. CAN I DO THIS? Hi everyone! I’ve been trying to search the internet on how to go about my problem with depositing a foreign check. Good advice will really b eappreciated! I just recently deposited a Canadian check but in U.S. currency account in my Capital One Bank account. First they said they can’t process it because its NSF, which is impossible because the payer is funded. So they sent me a copy of the check stamped “do not redeposit” and “unprocessable” with another letter saying they have to send it to their International Department. Then another letter came in the mail saying they have to hold it 2 more weeks and the credit is subject to final settlement. Is this even legal? 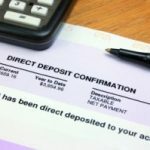 Do I have the right to have them stop the processing of the check? Is there any way to deposit foreign funds electronically? Or is any electronic method more costly? In effect there are two exchange rates, just buy 100 UK pounds and then immediately exchange them back into USD – you will probably have lost a good chunk. Bank of America may not have a foreign check fee but they do have a international wire fee of a whopping $13 I believe. For about a year my pay came from abroad via wire. Not sure if the $13 in savings would have made it worth it for them to post a check though. HSBC’s international wire fee was worse, $15. I agree with Paul that the fee is included in the exchange rate. As a one-off, a 2.5% currency exchange fee isn’t too bad. Unless you are expecting to do this more often, it’s probably not worth it to look for alternatives. Currency converters are using the most recent exchange rate. Your bank, like mine, charges a fee to handle the exchange which causes the discrepancy. In other words, yes you paid a fee to exchange UK pounds to US dollars – its just hidden in the exchange rate the bank offers you.